Let’s have a look at the Swedish drum and percussion scene! 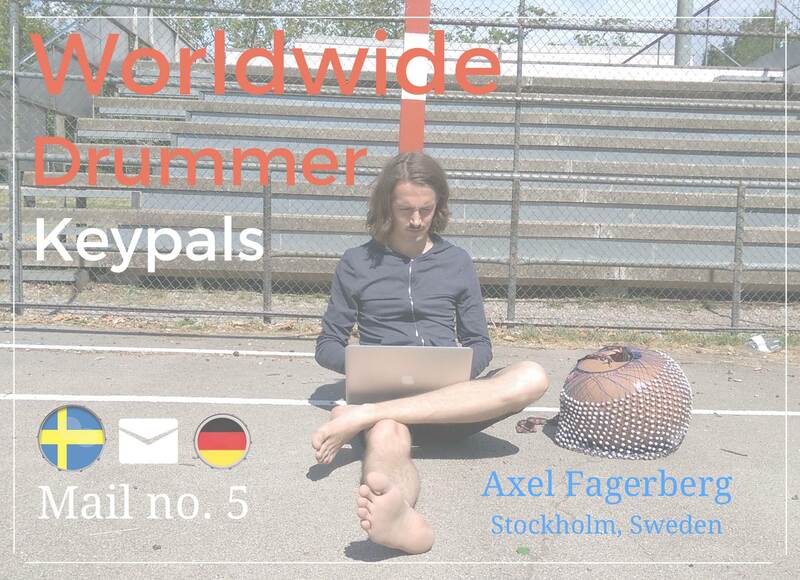 My new keypal Axel Fagerberg is a busy, versatile and inventive percussionist from Stockholm, who has all the answers to all of my questions. You know, back in the days, when I studied drums in Los Angeles, I had a few classmates from Sweden. There must have been at least six of them. 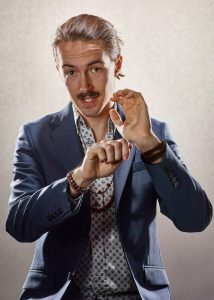 Anders Sherp is a name I remember – he also wears a mustache. We lost touch though. ABBA, Roxette, Nils Landgren, Avicii, Johnossi, Mando Diao, Caligola, Meshuggah and the fabulous Mikkey Dee. Actually I did meet one out of all these artists mentioned. Wanna guess whom? I’ll tell you. I had the pleasure of meeting Mikkey Dee at the Musikmesse in Frankfurt this year. He even took some time to do something for me in front of my camera. If you would like to see it, just click on the hidden link. Back to you and being a working musician playing all sorts of percussion instruments in Sweden. How difficult is that? After all, having a percussionist in the band has become a great sounding luxury. But you seem rather versatile and busy. You also played a gig for the Nobel Prize presentation, correct?! So how did you get there? Where did you start? Are you self-taught or did you study somewhere? If you studied, where did you? What’s the music scene in Sweden like? Which cities are most vibrant when it comes to music? How about the drummer / percussionist scene, is it big? How often do you play – both live and in a studio? Do you also teach? Do you create your own instruments from time to time or who makes your favorite gear? What does a typical week in the life of Axel Fagerberg look like? That’s a lot of questions already. Let me add one: What is your favorite instrument to play and have fun with at the moment and is there a chance of watching you do some magic with it? If you don’t mind, I’ll do some copy & paste. That way it’s easier to answer for me – hopefully it will also be easier to read. Back to you and being a working musician playing all sorts of percussion instruments in Sweden. How difficult is that? After all, having a percussionist in the band has become a great sounding luxury. Well, I’d say the challenge is that people don’t really know what being a percussionist means in 2016. When it comes to playing in a pop setting I really have to show that having a live percussion player is often of more musical and visual value than a second keyboard player or what not. But you seem rather versatile and busy. You also played a gig for the Nobel Prize presentation, correct?! So how did you get there? When I first got to Stockholm I was subbing a lot for the percussionist in Ambassadeur, Ola Bothzén, who is a great player. When he got too busy with other projects and left the band the MDs asked me to be their guy. Since Ambassadeur and gigs like the Nobel Banquet calls for cuban percussion, mallets (including solos), sight-reading, timpani, some brazilian percussion and keyboards the list of people who can pull it off gets thinner. I was lucky enough to start my education at Strängnäs Culture School under Lars Östlund when I was eight. He’s a heart and soul guy who does everything for his students to help them succeed. The culture schools in Sweden are a great thing, they’re having trouble now because of short-sighted politicians and stupid budget rules but I hope as many as possible survive. Strängnäs Culture School did a lot of gigs with drumlines and orchestras at corporate parties, TV, birthdays, grand openings and stuff to fund trips, when I started high school I had already been touring in the Netherlands, Italy, Spain, USA and Russia. It’s all a great learning experience, learning to work as a team and being a professional. Are you self-taught or did you study somewhere? If you studied, where did you? I attended Musikkonservatoriet Falun (high school) studying western classical percussion (and music in general) under Magnus Einarsson. And then Bollnäs Folkhögskola for two years, studying jazz vibes under Mattias Ståhl. I just finished my bachelor at the Royal College of Music studying mainly cuban percussion under Thomas de Paula Eby. What’s the music scene in Sweden like? It’s great! As you might have noticed there’s a lot of especially pop coming out of Sweden. The amount of people sitting in their bedrooms writing songs is crazy! The live scene is good too but there’s a “middle ground” missing. There’s a lot of places to play crap gigs and a lot of arenas/stadiums, but too few places with like 400-800 seats. The big festivals are all amazing! Which cities are most vibrant when it comes to music? I’d say Stockholm, Gothenburg and Malmö / Copenhagen are the main places but that’s just because we’re such a small country and those cities are the largest, the Dalecarlia and Norrland areas are coming in hot though! How about the drummer / percussionist scene, is it big? How often do you play – both live and in a studio? Well, live gigs depend on what time of year it is and if you get the opportunity to play on a big summer pop tour. Sometimes it feels like I’m never home and then suddenly the calendar is empty and you start doubting all your life choices, haha! Studio wise I’ve played a lot past autumn and spring but I’m eager to show off all my cool ideas in a more “free” setting. Not in an organized way, but I’ve helped people like Freja Drakenberg (of Peter, Bjorn and John) to get a better tambourine technique that’ll last a long tour! Do you create your own instruments from time to time? I’ve built stuff all my life and since I’m doing music it’s a natural crossover! Some of the things I’ve built this year is a trig-shaker, a MIDI-windchime, lots of homemade O-zone cymbals for stacking and now I’m putting a microcomputer and a wireless system inside a cabasa, ’cause y’know, rock’n’roll! I do it professionally from time to time, too. When Nord Drum 2 came out I was one of the factory preset programmers and I recently built a rack for Allsång på Skansen which probably is the biggest live TV show in Sweden. Or who makes your favorite gear? There are some great percussion makers in Sweden, such asValter Kinbom. He runs Valter Percussion who revolutionized the cajon world in the 00’s and now he’s creating crazy stuff like aluminum udus and magnetically tuned wooden tounge drums. 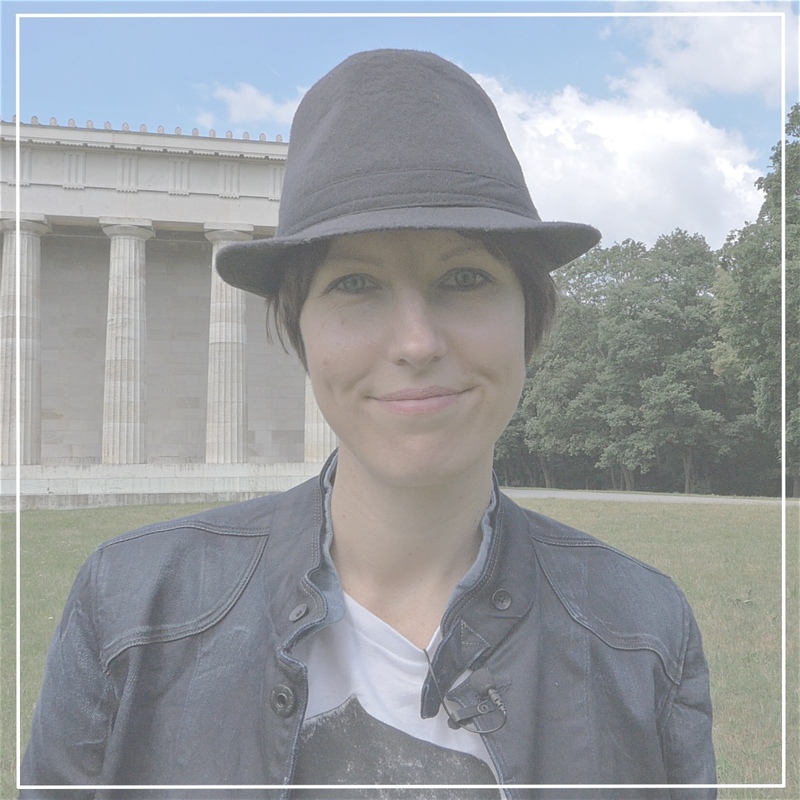 What does a typical week in the life of Axel Fagerberg look like? Monday: Sleep in, pay bills, do boring paperwork, rehearse in the evening with a small rig. Tuesday: Practice a couple of hours in the morning, have lunch w/ friend, do some arranging or a session. Wednesday: Rehearse the whole day, move a lot of gear, go to bed late. Thursday: Sleep in, do brunch with some band friends and try to book some gigs, practice a few hours. Friday: Do some more paperwork, lunch meeting with booking agency regarding a band, play w/ DJ all night. Saturday: Wake up really late (probably went to bed at 5), move a lot of gear and play an outdoor gig. 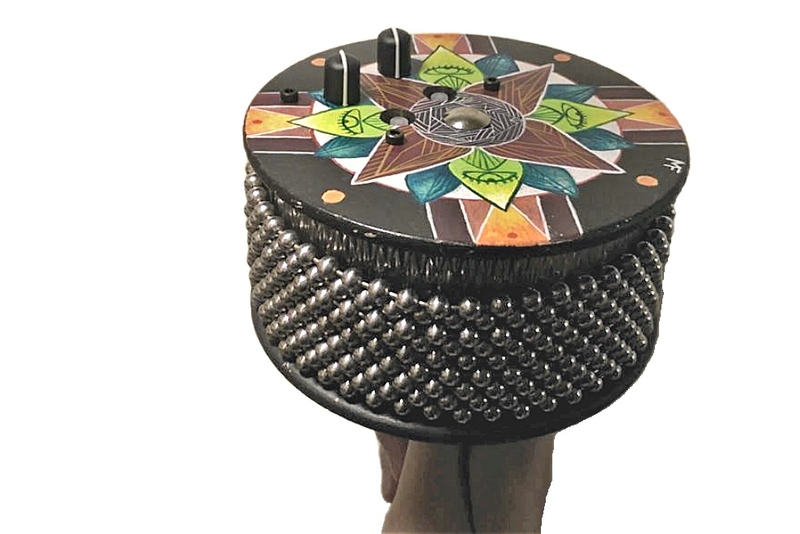 Sunday: Chill with girlfriend, watch Game of Thrones, build an electronic tambourine and hype it on Facebook. Well, I love my shakers and at the moment I’m experimenting a lot with piezos, both as triggers and as contact microphones. I’ll try to record something this weekend and send it to you!